K.R. Mangalam World School, Vikaspuri hosted an interactive session for the students on 24th Nov. 2017. Winner of SEBRAE Business Woman Award from Santa Catarina, Ms. Cristiana da Luz – professor of English language and Ms. Maria Alice- University Professor took the session ‘The Aladdin Factor-What Drives You?’ wherein she addressed our young minds and showed them the vastness of the human capabilities and abilities. Ms. Cristiana has delivered lectures with a main focus on women, working in the areas of communication, human relations and self-esteem all over the world. She also works for the upliftment of women in India, Israel, Egypt and many other countries. The event began with the spectacular school orchestra giving them a warm welcome. The governing message of Ms. Da Luz’s talk was that the distance between your dream and reality can only be overcome by self-initiation. She subtly brought out the purpose of life and how bright one can make it grow. She motivated the students to find an aim for their life and work towards fulfilling it in the best possible way. Our special friends were elated by the hospitality shown by the school principal Mrs.Meenu Kanwar , the staff and students and promised to come back very soon. 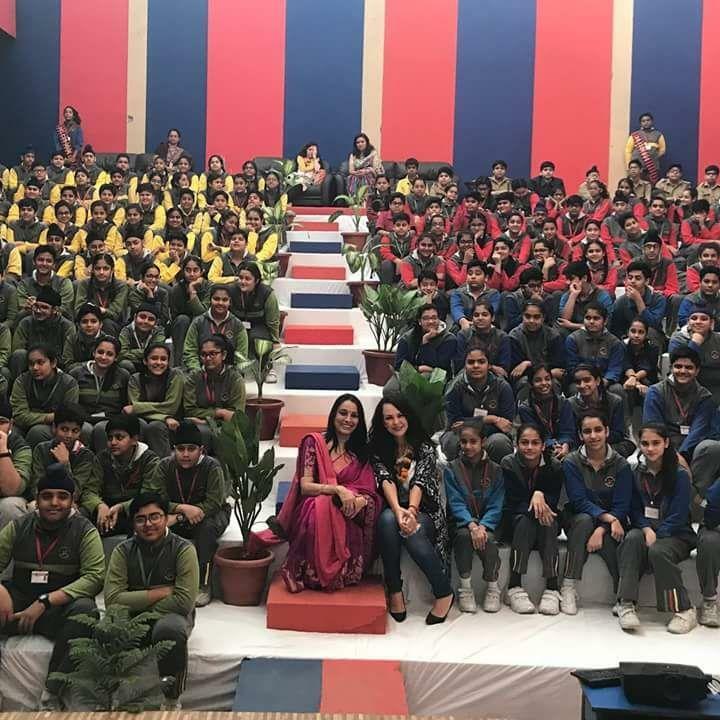 The Principal Mrs. Meenu Kanwar thanked the guests for sparing their valuable time for us and expressed that the connect between dream and reality, when found would bring out best result in an individual and motivate a person to become a better human being.